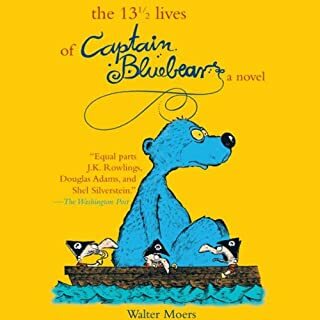 Playful enough for young adult readers, yet as intricate and engaging as any work of literary fiction, The 13 1/2 Lives of Captain Bluebear has the plot of a novel and the spontaneity and humor of a vintage comic book, making it already an instant cult classic. In the wake of the breakout successes of Walter Moers’ The 13½ Lives of Captain Bluebear, Rumo & His Miraculous Adventures, and The City of Dreaming Books, Moers is back with this fourth book, the tumultuous tale of a little boy and his encounter with Death. Things have been going pretty badly for Theo Bernstein. An unfortunate accident at work has lost him his job (and his work involved a Very Very Large Hadron Collider, so he's unlikely to get it back). His wife has left him. And he doesn't have any money. Before Theo has time to fully appreciate the pointlessness of his own miserable existence, news arrives that his good friend, a renowned physicist and Nobel laureate, has died. By leaving the apparently worthless contents of his safety deposit box to Theo, however, the professor has set him on a quest of epic proportions. Set in the land of Zamonia, this exuberant, highly original fantasy from Walter Moers features an unlikely hero. Rumo is a little Wolperting—a domesticated creature somewhere between a deer and a dog—who will one day become the greatest hero in the history of Zamonia. Armed with Dandelion, his talking sword, he fights his way through the Overworld and the Netherworld. 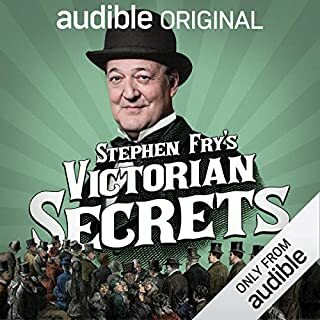 He meets Rala, a beautiful Wolperting female; Urs of the Snows, who thinks more of cooking than of fighting; Gornab the Ninety-Ninth, the demented king of Netherworld; Professor Ostafan Kolibri, who goes in search of the Non-Existent Teenies; Professor Abdullah Nightingale, inventor of the chest-of-drawers oracle; and, worst luck, the deadly Metal Maiden. 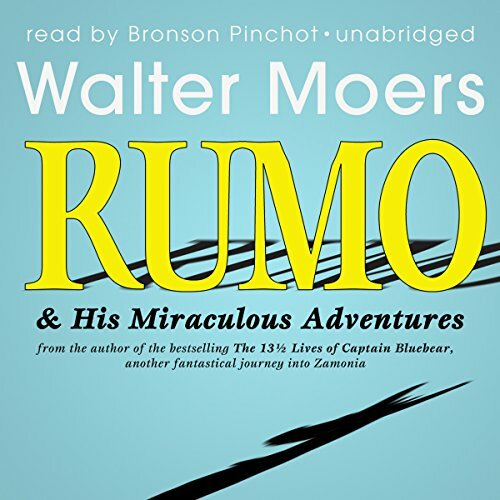 Astonishingly inventive, amusing, and engrossing, Rumo is a captivating story from the unique imagination of Walter Moers. Filled with humor, this novel puts a new spin on the usual epic fantasy. The comparisons are many—Douglas Adams, Lewis Carrol, J. K. Rowling, Dr. Seuss, and R. Crumb—but Moers is clearly an original. Long live Zamonia! 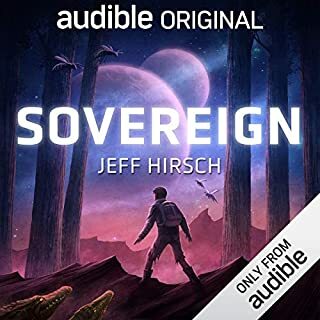 ©2003 Piper Verlag GmbH, München; translation 2004 by John Brownjohn (P)2010 Blackstone Audio, Inc.
First of all, let me say I never write reviews, but have been driven to do so by the sheer awfulness of this book's sound-editing. This was the usual Moers' listen. The story is full of tangents and is completely zany, but really a blast once you get in the groove. And quite a bit of Pinchot's narration is really quite good - the voices are definitely distinct characters and he paces things well. HOWEVER. Whoever did the sound editing on this should be shot in both knees...twice. I was using earbuds when the character Dandelion was introduced, and I think my hearing has been permanently damaged. Whatever computer effects have been used on that voice are absolutely terrible: it sounds like a shrill, sing-song chipmunk on helium and is, if you're using any type of headphone, quite literally painful. I've switched to external speakers to finish the book to prevent hearing loss, but am now at risk of boyfriend loss as he's threatening to leave me if I don't make the "chipmunk from hell" stop. So. Great book, but I think I'll finish it in print. The story is quite good, and even though this is apparently part of a series, I feel that the story stands by itself. The narration, however, varied from exceptionally good to exceptionally bad. The characters of Dandelion & Gornab were almost impossible for me to listen to. They were read in such a screeching voice that I often had to turn the volume down so far that I missed subsequent lines by characters who were read in almost a whisper. A whacky witty read. Not for those with irony poor blood. The narration and performance were well suited to this story. It took me a couple hours of listening to get into it, but once I did I was hooked. It reminded me of a show on cartoon network "ADVENTURE TIME!" If after you read this book, and you dearly love it. You should truely look up this program. Anyways, The characters were inventive and animated. The narration should win an award for sure. The voices portrayed fit the characters like a glove. The book was 24hrs long; but when it was over, it felt too short. 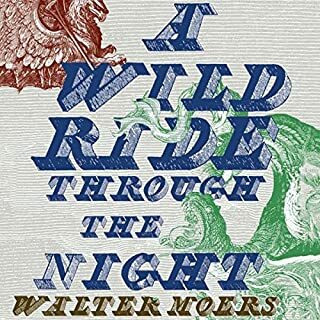 Really enjoyed another great Walter Moers book. The story was full of great moments and rich universe of zamonia. The production was well done with voice altering and other effects to bring the characters to life. But there were many moments when the high pitch altered narrator stung my ears through my cars audio system. Not as bad when listening with a pair of headphones or just on my phones normal speaker. My wife stopped listening with me in road trips because of the annoying voices. A fantastic story but the narration was unbearable. The squeaking and harsh voices used to make this book a disappointment. 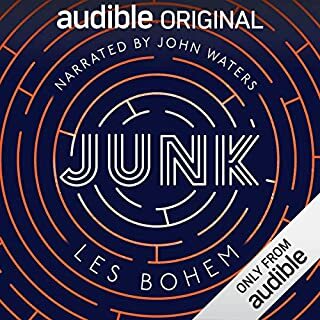 Another windfall from Walter Moers, brilliantly read by Bronson Pinchot. This book is tied to Blue Bear's saga, but is independent of it. That said, though, in my opinion it's NOT for children like Blue Bear. Rumo's story is darker, bloodier, and not every hero has a happy ending. I hold to my high rating, though. It's a book that you yearn to return to whenever possible. loved this fun book & the reader was awesome! This is a funny, creative and exciting adventure story - the author's drawings are an important part of the book (mainly portraits of the characters and a couple of maps), so it helps to have a hard copy of the book - my husband and son (11) both read it previously and loved it, so I referred to the book occasionally to see what the author imagined his wild and crazy characters looked like. There are also different fonts to express how the different voices sound, and here the reader did an incredible job. In fact, I mainly wanted to write a review to say that Bronson Pinchot now tops my list of amazing readers. He literally created a vastly different voice for each character (and this is a whole world of crazy personalities). And his own (narrator voice) is so normal and soothing. He should definitely win an award for his narration. I am eager to hear more of both this author and narrator! My son listened occasionally and though he had read the book already, he was completely taken with Bronson's voices. Not always the voices he imagined - often way better. We especially loved Dandelion and the Non-Existent Teeeeeee---nies! be warned if alvin and the chipmunk specials make your ears ache, this reading is not for you. The writing is clever and inventive, the reading well done but the voice characterizations are weak and the electronic voice manipulation just oh so grating. A book to be read. I loved this book. Both this and Bluebear we're astounding adventures, but I found myself relating more to Rumo's character. 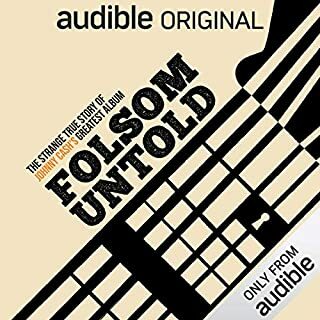 Please, read/listen to this book!